During the wood-age of building, nearly every metropolitan city had a giant fire, some more than once: Boston in 1872; London in 1666 (and 1212…and 1130…1135…and so on…London is one of the most well-known tinderboxes on the planet); Chicago 1871; and San Francisco 1906, to name a few. These fires were attributed not only to materials used in building, but also a lack of enough fire fighters, low water pressure, and lack of proper equipment. Builders began using stone and brick, and eventually, began building with steel. As cities grew and skyscrapers got taller, it seemed logical that wood would never be chosen as an urban building material again. Much enthusiasm surrounds mass timber, due to its possibilities as a replacement for concrete, steel, and masonry used in structural support. Mass timber also offers the combination of performance and aesthetics with lots of design possibility. Globally, many builders are considering it in ways they haven’t before. For instance, Japan has plans to build the world’s tallest timber tower, which if successful, would takeover the number one spot from The Tall Wood Residence at the University of British Columbia in Vancouver, BC, with a handful of other tall mass timber buildings on the list of the world’s tallest timber buildings. 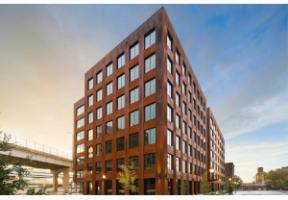 In the United States, the current largest mass timber building honor belongs to T3, installed in Minneapolis in just 9.5 weeks and with a second one currently under production in Atlanta. Of the many options, the CLT, or Cross-Laminated Timber, is emerging as the most advanced building material. • Strength and Stability: CLT buildings weigh about 1/5 that of similar concrete buildings and form a structurally sturdy building that outperforms steel and concrete. • Resilience: CLT panels are stable and rigid, which creates a strong lateral load resisting system, making them resilient, particularly for seismic events. Seismic testing has shown no warping or bending following seismic activity, making them a safe and viable option for high-rises in seismic or wind prone zones. • Fire Resistance: Tests have been done subjecting CLT to temperatures higher than 1,800 F and it lasted over 3 hours, which exceeds the current building codes requirement of 2 hours. CLT panels’ mass means they burn slow and degrade less during a fire. • Environmental: Wood outranks steel and concrete when it comes to its carbon footprint, with a tree sequestering carbon at a rate of around one ton of CO2 per cubic meter. In contrast, concrete accounts for up to 8% of global emissions of greenhouse gases. It is estimated that replacing steel with mass timber would reduce CO2 emissions by about 15%. Not only that, but wood is a renewable resource especially when coupled with sustainable forest management. It can remove carbon from the atmosphere, while steel and concrete are finite resources and they add carbon to the atmosphere through their inefficient extraction, processing, and usage. Also, CLT buildings are recyclable once they reach the end of their initial uses, are easily remodeled, and produce less job-site waste with scraps that can be reused for smaller architectural elements. • Speed of Build: CLT buildings are roughly 25% faster than concrete to construct and require about way less construction traffic, because panels are prefabricated then assembled onsite, cutting the project timeline and necessary workforce down. • Contributes to a Wellness-Focused Environment: Concrete and steel buildings have a colder and more sterile feel. With 90% of an average person’s day spent indoors, either at work or at home, it is vital that the built environment focuses on wellness. As discussed in a previous blog, Creating Space to Nurture Our Human Nature in the Built World, a connection to nature is vital for employee happiness, production, health, and retention. Mass timber contributes to a biophilic aesthetic and the ROI helps alleviate any initial increase in cost. As with anything, downsides are always possible. In the case of mass timber and CLT, objections have been raised concerning the higher initial cost as well as the higher insurance rates because insurance companies are hesitant to jump on board until mass timber proves its reliability. There’s also been some recent situations that could cause some pause, with plans for a record-setting mass timber tower in Portland, OR falling through, and a mass timber project on the campus of Oregon State University experiencing a setback. However, an older article from Building Design + Construction magazine, 5 myths about cross laminated timber, addresses common myths surrounding CLT which in turn also addresses some of the potential downsides. It’s a good resource to explore some of the potential drawbacks to using mass timber. But overall, mass timber appears to be a more sustainable, healthier, more cost-efficient design choice particularly when building high-rises. If you’re interested in learning more about the evolution of light wood-frame and CLT, check out our free course, Inferno: Protecting Buildings and People from Fire. We also offer a premium course, Don’t Build Here: Site Selection Strategies to Protect our Wild Spaces, that relates to the issue of using timber in building. Specification opportunities may start to increase as the use of mass timber increases and being educated can boost your chances. What is your experience with and thoughts on mass timber? For more information or to discuss the topic of this blog, please call Brad Blank at 360-727-3528.